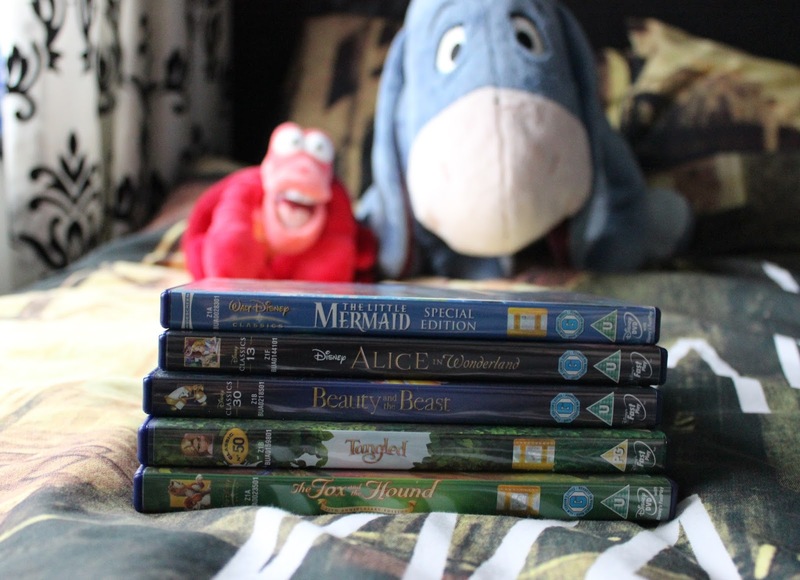 All I remember watching when I was super little is Disney films and thanks to that, I have a bit of an obsession with Disney still to this day. In my 20 years of life so far, I’ve watched plenty of Disney films so it was very hard to pick just a few I love, but I thought I’d narrow it down to my top 5. I can’t even remember the first time I watched The Little Mermaid, so I must have been rather tiny! It has always been my favourite Disney film as long as I can remember and Ariel is my favourite Disney Princess. This is one of the films that I can watch whether I’m happy, sad or ill, it’s one of my favourite films of all time. I think this was one of my most used Disney VHS’s! I also think I have this film to thank for my mermaid obsession. I just love everything about this film. I love the original Rapunzel story and was so happy that Disney made a film with Rapunzel in. The music in this film is amazing and I also love the animals, they’re so funny and adorable. My favourite scene is the lantern scene when ‘I See The Light’ is playing. There’s definitely a trend here – you can tell I love the Disney Princesses! The songs in this are beautiful and some are funny. It’s too hard to pick favourite characters in this as I love all of them. I remember when I was little being terrified of Beast before you actually get to know the real him! One of my earliest memories is watching this film. I can’t explain the sadness I felt when I was so young watching this, I remember being more sad than I felt at Bambi though! This is one of the most underrated Disney films, it really is beautiful and it’s been one of my favourites throughout my whole life. What are your top 5 Disney films?